Henry Roe Cloud, "From Wigwam to Pulpit"
N the bark wigwam on the banks of "The Murky Waters" (Missouri River), in Nebraska, where I was born, life was very primitive. Indians never kept birthdays, but I probably arrived some time in the winter of 1884. My father and my mother were both Winnebago Indians. 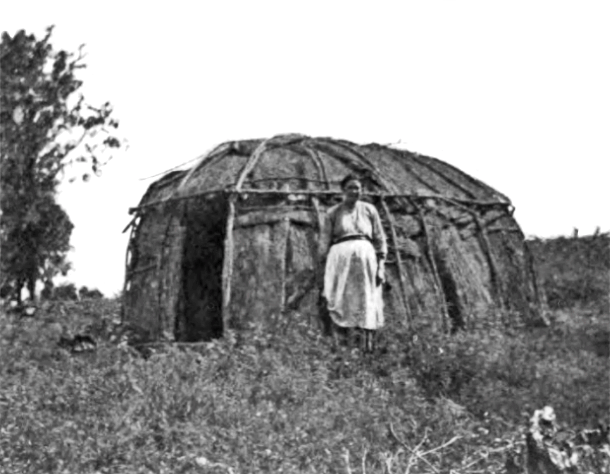 In the one circular room of the wigwam, where we ate, slept, and made merry, I lived until I was ten years old, with my father and mother, my brother, my sister, and sometimes my grandmother. The meat was roasted on spits over the central fire, and on the coals my mother baked the bread. From chains fastened to poles across the smoke-vent over the fire were often hung kettles of meat and wild beans or maize that gave forth most appetizing odors. But there were many times in a lean year when the black chains had no kettles, and no bread was baked over the ashes and coals. Many a night we went to bed supperless, but were taught to lie down to rest at such times without a complaint. If any food was brought home during the night, the children were awakened and were fed first. Every night mother made our bed on the ground, and during the day the bedding was folded or rolled up in the back part of the wigwam to make room for the reed mats that were spread out for us to sit on. One of my earliest recollections was that of running round and round a big tree while my grandfather shot small arrows toward me. Many years after I learned that he was in this way teaching me how to dodge the arrows of an enemy in time of war. My grandmother had twelve children, and one uncle undertook to teach me the art of worship. He used to lead me to the sandy banks of the Missouri River, where he would set fire to a pile of drift wood, and then, taking me by the hand, sing sacred songs to the fire and river. In the meantime he threw into them offerings of tobacco, red feathers, and sometimes oak twigs. I never knew the meaning of these offerings, but 1 always felt that some living thing actuated both the fire and the river. Another uncle came to visit us periodically, and every time he came my brother or I suffered at his hands. Sometimes he would rush to the spring, carrying me horizontally under his arm. and would plunge my head into the water until I almost suffocated. His most common form of discipline was to let me hang by my hands on the cross-poles of the wigwam until my arms ached. My body writhed before I dropt. This (330) uncle seemed to like best to command my older brother to tie my hands and feet with a rope. Then he would order me to resist—an ordeal that would make us both cry. In the winter he would also sometimes roll us in the snow naked. The punishment of Indian children is usually in the hands of some uncle rather than the parents. Our punishments were inflicted generally because we had disobeyed grandmother by failing to get wood at evening, had resisted fasting, had fought some Indian boys, or had cried without sufficient cause. The fear of such chastisement often kept us from disobedience. Father and mother trapped for beaver skins, otter skins, and muskrat skins. Other Indians went in bands to cut broom-corn and sugarcane, but invariably my parents went trapping. We would encamp along some stream, and on a clear night could look up through the smoke vent and see some bright star gleaming in the heavens. In the darkness there were continual sounds—the rustle of leaves and the murmur of the stream. Sometimes at night there would come a sudden whir of wings, a thud, and the hooting of an owl would be heard directly overhead. Again there came from a distance, and approaching nearer, the sound of a beaver lashing the waters with its tail. We ate beaver meat, but not otter. We had also plenty of ducks and wild geese. Indians use the skins of the beaver and otter both for ceremonial purposes and for trade. Even to-day the members of the great "Medicine Lodge" religion among the Winnebagoes carry beaver and otter skins for medicine bags. All of the muskrat skins were sold, and these are so much used for barter that the name of a quarter of a dollar in Winnebago language is "the price of a muskrat skin." Like other Indian boys, I learned to shoot with bows and arrows. Whenever I lost an arrow, my mother used to tell me that "Wak-Chun-Koga"' (jester), one of the sons of "Ma-u-na" (Earth-Maker), had hidden it. A good arrow is a great loss to an Indian boy, and my mother taught me to cry aloud to "Wak-Chun-Koga" to restore my arrow. The ordinary way of finding a lost arrow is to put saliva in the palm of the hand, strike it with one finger of the other hand, and follow the direction in which the saliva flies. Another way is to go to the spot from which the original arrow was shot, and, keeping a careful watch, shoot another arrow in the same direction as the first, and with the same force. By these means the lost arrows are often found. Fasting is a universal practise among Indians. Sometimes they go without food from four to ten days at a time. The purpose of these fasts, in which I often took part, is to gain the compassion and blessing of some spirit, in order that he might come and reveal himself to the Indian. They claim that mighty spirits have come and imparted powers and secrets to Indians which they could use all their lives in war, in the hunt, and in medicine. Any one who has such a "dream"' is considered blest beyond his fellows. These "dreams" are sacred, and no man without a (331) "dream" can ever hope to be a war-chief or a medicine-man. I have heard many Indians call upon the "Spirit" whom he claims to have seen and heard. An Indian child pleases his parents most when he fasts, for by it, it is believed, he secures benefits far greater than they can bestow. Fasting is practised to prepare for the hard times to come; for "lean years," in times of war and sickness. Children in early childhood are made to fast, for the parents say: "When you come to where the earth is narrow (meaning hard times), where will be your dependence?" When my father went away to sell the skins he had trapped, my mother used to make my brother and me fast, telling us that we could eat when father came home. Toward evening, when the sun was setting, we would climb the tallest trees to see if father was coming home. We were two hungry boys, but I never had a "dream." The joys of my childhood were at their height in the winters when grandmother came to live with us. During the summer she refused to tell us stories, for she said "the snakes will be in their holes when snow falls." One of the unwritten laws among the Indians is that in the evening, when the young boys bring into the wigwam a fine, dry log for a winter night's fire, the old people must tell them stories. At the snow-flying, I have dragged in many a log, and as the winds roared outside and as we heard the creaking of swaying trees, have listened to my grandmother tell of mighty deeds of heroes, (332) of war, of animals, of nature, of "Spirits," and of her own childhood. With her stories of "Wak-Chun-Koga," the Don Quixote of Indian lore, grandmother made the winters one long laugh for me. Then there was always a test night, when one of us boys had to retell some of the stories that she had related. Every story had its particular lesson—for example, those relating to "Turtle," first son of "Ma-u-na" (Earth-Maker), were to instil courage. We used to swallow turtle-hearts to make us brave. Soon I learned that each of us belonged to a special clan. The number of people in the tribe determine the number of families in a particular clan. There were about twelve clans among the Winnebagoes, such as the Bear Clan, the Wolf Clan, the Dog Clan, the Bird Clan, and the Buffalo Clan. I was born into the Bird Clan. When a child is named, great ceremony is observed, and the Indian's name always indicates the clan to which he belongs. "Broken Tree-Top," for example, indicates the Bird Clan. The lightning strikes a great tree on the summit of a hill, shatters it at the top, and often the whole tree is brought to the ground. The powers that struck that tree live in the air, and must, therefore, be some form of winged creatures. The name of my niece is "Ahoo-Gee-Sheen-Ni-Winga" [Ahugišį́nįwįga], meaning "Brilliant Wings." The Bird Clan was the War Clan. My own Indian name is "Wo-Na-Xi-Lay-Hunka" [Wonąǧirehųka], meaning "War Chief," and is derived from the lightning spirits, who are believed to control the destinies of men in war. I was named for the chief among these spirits. This Bird Clan obstructed or permitted war. The ceremony of stopping some party from going on a warpath was simple. At daybreak the Chief of the Bird Clan (if he thought the war chief too audacious or unnecessarily imperilling the young warriors), would lay his peace-pipe across the door of the one who was about to leave with the war party. The war chief, seeing the peace-pipe across his door, could not, under any circumstances, continue his hostile purposes. The powers entrusted by long custom to these clans are absolute. One day while we were out playing, an Indian policeman came to take my brother "to go see some writing" —a literal expression for going off to school. I wanted to go too, not because I wanted to see writing, but because I wanted to be with my brother. With many tears I persuaded my mother to let me go, and when I was about seven years of age we were taken to a non-reservation school at Genoa, Nebraska. In two years' time I had forgotten my own language, for I was thrown with Sioux, Omahas, Apaches, Pottawatomies, Ottoes, Arappahoes, and Cheyennes who could not speak Winnebago. Upon one occasion I thought my brother acted very queerly. He took me to a room and told me to sit down and talk to my mother. I could not understand what he meant, and the more he urged the more bewildered I became. I thought that he was mocking both mother and me, and when I cried he let me go. Never did I dream that ideas could (333) be put on paper, carried away by trains, and, finally, come into the hands of some loved one. To talk through space to one so far away was a thing that I could not understand. Later I understood, and wrote many letters home. There is little that I recollect about this school except that I herded sheep, flew kites, fought John Hunter, slid in winter, caught a ground-squirrel and a young crow for pets, stole grapes and cherries in summer, and once went to the hospital with a big splinter in my foot. I remember, too, that my cousin and playmate, Fred Uenslcy, died in the school. After two years my people came to take us home, and we rode 100 miles from Genoa to Winnebago in a wagon. 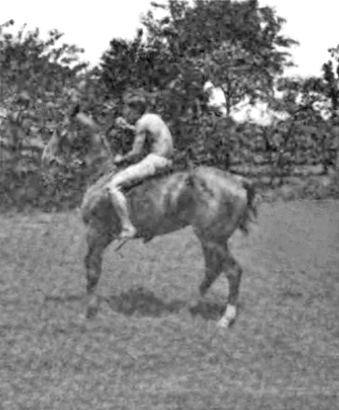 Father and I rode double on his horse, and we went over many hills on the way without ever saying a word. He could not understand me and I could not understand him, but in three weeks I got back my native tongue and have never lost it since. Not long after, the Indian police again took me to the reservation Government school, and I stayed there a number of years. Our chief pastimes were with our ponies, bows and arrows, marbles, racing, jumping, swimming, throwing the sumach-sticks in the fall, and sliding in winter. We played marbles "for keeps," and as I became proficient in the game I won hundreds of marbles. When I won all the marbles from a boy he would buy them back with any nickels or dimes he had. In this way I always had money in my pocket. It was at this school that the greatest event in my life took place. I tried for a place in the school band, and was chosen for the alto part, and then for the cornet. Every "Cross Day" (Sunday) we were marched down the road to a white building with a cross on it. I enjoyed these marches, as we were drest up, and I had a chance to blow my cornet in the band ahead of the procession. At these meetings (Sunday-school) the teachers gave us cards with pictures on them, and would tell us about God, the Great Spirit. One dark night, when I was about thirteen years old, I was awakened long after midnight, by an officer of the school, who told me to go downstairs, for a man wanted to see me. When I went down I found the Rev. William T. Findley, a Presbyterian minister, the same man who conducted the meetings at the white house, and who used to come sometimes to our log cabin and wigwam village in the woods near the river. On the previous "Cross Day" the lesson at the Sunday-school had been (334) on "Christ Before Pilate," when Pilate had been asked the difficult question as to what he would do with Jesus. My teacher, Mrs. Findley, asked each of us Indian boys to write on a piece of paper what we would do with Jesus. My answer was that I would like to be His friend, and this led Mr. Findley to call upon me that memorable night. We sat down upon the grass, and Mr. Findley told me, for the first time, about Jesus Christ, as one who had a real claim upon my friendship. I felt a strange constraint to accept this new spirit-friend. Friendship-making is a meaningful and a very formal act among Indians. I knew that James Rain was my friend. We slept together, we played together, and fought for each other. On some "Cross Day" afternoons I took him to my home, and on others he took me to his home. His family was mine, and mine was his. James Rain, I love to this day. So I understood that when I took Jesus that night to be my friend, we were to stand by each other through this life and throughout the "land of the setting sun." He was to defend me, and I was to defend Him. I did not understand much else that Mr. Findley said that night, but I knew that I had entered upon a new life. The boys saw the change that came over me, and I had become what the Indians called "A Preaching Listener." "Years ago, wearers of the long broadcloth (Jesuit priests) came among the Crows and began to preach. In the course of time, a Crow Indian listened and became "a preaching listener." When this Crow Indian died the whole tribe gathered together in counsel to decide whether they should dress him in Indian fashion for "the land of the setting sun" or should put on him the robes of the strangers. They finally clothed him in black, like unto his white leaders, laid him on a high booth, and went up stream to hunt. In the meantime the soul of the Indian began his last travel. He soon came to a place where the road parted, one road leading to the left and the other to the right. He took the right road, and before long saw, in the distance, the glory of some great habitation like that of the lighted heavens over some great city at night. The voices that he heard indicated that they were (335) beings like himself, and his heart leaped within him for joy. But when lie came near, to his great surprise, he was told to go back with the words, "You have mistaken your road. This is the white man's heaven. Go back and take the other road." He was a white man in dress, but his Indian features betrayed him. Sad at heart, he returned to the parting of the ways, and taking the left-hand road soon heard sounds that cheered his heart even more than what he had seen on the road to the right. He recognized the Indian songs of this new gathering-place. When he hurried to join them he was, however, sent back by the herald of the place, saying: "Go back. You have mistaken your road. This is the Indian heaven." His clothes made him look like a white man. There was nothing left for the poor Indian to do but to take that road that led back to his body. As he reached the place where his body was lying the tribe returned from their hunt, and on examining his body found life was in him. An old medicine woman tended him, and when he was able to sit up he opened his mouth and told them his story. "Now," said my grandmother, "I do not command you to stop being 'a preaching listener,' but if you want to be forever a wanderer in the other world, you can continue in the road you have taken." A severe soul-struggle began, but I determined to remain true to my new Spirit Friend. When the day came that I was to be baptized, I stood up alone before all the Indians, and the preacher asked me whom we should obey first, Christ or parents and relatives, I answered, "Christ." In that answer I testified my belief in the reality of the "Friendship." It was stronger than the desire to go to any particular place in the world beyond the grave. In the following year my grandmother, my father, and my mother passed away, and "Honest John Nunn" was appointed my guardian. He lived long enough to see me started on the right road. In the midst of great soul-loneliness there were other difficulties. There were no other "preaching listeners" in the whole school, and only one or two in the tribe. We were free to go home from the school on Sundays, and in summer the whole tribe used to gather at the "Flag-Pole" for horse racing, dancing, and other amusements. My black pony had won the quarter-mile races and taken pony prizes. In these Sunday races I had also won the small boys' foot race, and had received a roan pacer as a prize, which, according to custom, I gave to my sister. When I (336) became "a preaching listener," however, I had to give up this trip to the "Flag-Pole," and used to roll around in the preacher's yard all Sunday afternoon not understanding why I could not go to the "Flag-Pole" hill. Every Sunday at the church services it was customary to pass around a basket into which the people put money. I wanted to give, too, and played harder at marbles, so that I might put a lot of money in that basket. In this way I managed to give about 85 cents every Sabbath. One day the preacher asked me where I got all the money I put in the basket, and when I replied that "I beat it from the boys," he told me that I must stop playing "for keeps" then and there. The boys all thought that I was very queer. I would not fight any more, and my marble-playing ceased. I also joined a "Band of Mercy," pledging never to kill a bird again with my arrows, or to mistreat animals. Only one or two other boys joined this band. The Friendship I had entered upon was not a thing of a day. I read about my Friend often out of the little Testament that the preacher gave me. and often, when the dormitories were vacant, I stole away alone to find out more and to gather new strength. In the midst of the unpleasant loneliness there came to me more than a complement of deep joy. 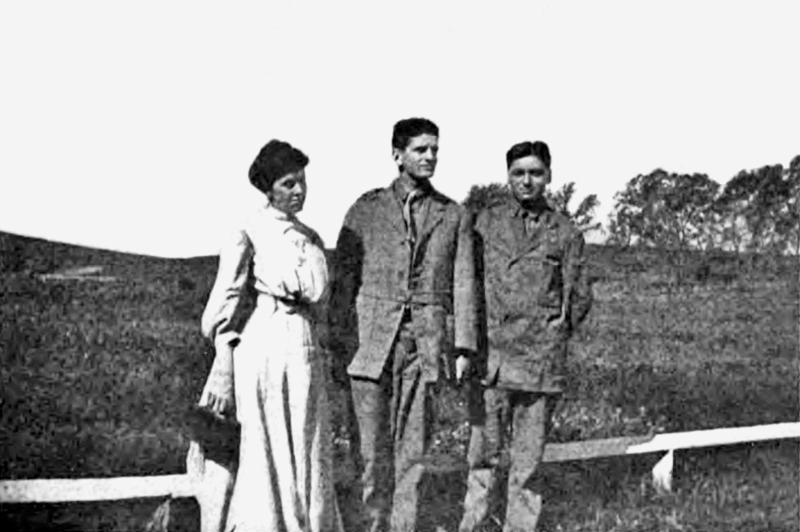 After a time the preacher persuaded eight of us Winnebago boys to go to Santee Mission School in northeastern Nebraska, among the Sioux, one hundred miles away from home. From Santee's heights I could see the river winding in the direction of my home; and away beyond the river stretched the prairies of South Dakota. In a week six of the Winnebago boys ran away, and a week later the other told me that he was so homesick that he could not stand it any longer. We talked together far into the night, and I tried to persuade him to stay, as winter would soon come and go, and in early spring we could return home. Finally, however, he said that he was going at daybreak. While it was yet dark we stole out of "Whitney Hall," and I walked with him a mile, carrying his black satchel. In a clump of box elder trees we shook hands in silence. There was a fight within me, but the victory was won, and as I walked back I realized that there was a more than human power working in men. The following summer I went home to visit, but came back to Santee for three successive years. The book that I read during this period made a profound impression upon me. It is entitled "Self-Help," by Samuel Smiles. This book led me to resolve to earn my way through school, but to stay away from Government institutions. If a school is to be measured, not by its elaborate equipment, its size and annual budget, (337) but, by its power to develop character in its students, then Santee is to be reckoned one of the great Indian schools of the country. Here my soul awoke for the first time to some appreciation of the fact that there is much to learn and much to do. 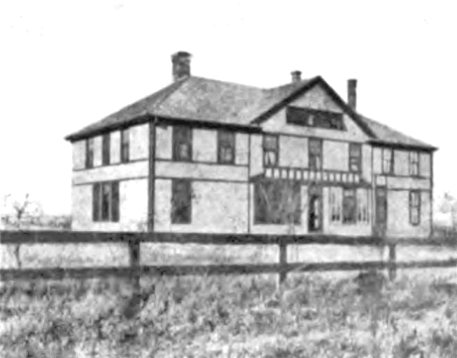 From Miss Kennedy, for many years matron of Whitney Hall, I learned of a school in the east— "Mount Hermon," by name, founded by D. L. Moody, where the cost of board, lodging, and tuition was, at that time, $110 a year. Before my graduation from Santee (in 1902) I left for Mount Hermon, Massachusetts, with $100 sewed in my undershirt to guard against the dangers of travel among white people which had been deeply imprest upon my youthful mind. On Hearing the school railroad station I saw a lot of Indians, as I thought, and rushed through the train to greet them, but I soon found that they were Japanese going to Mount Hermon. Five years passed before I could be graduated. I was obliged to spend one whole year on a farm in New Jersey to earn money. During these five years I learned to pay for what I got, and, by actual struggle, came to know the value of a dollar, the meaning of toil, and something of the worth of time. As I followed a mule team all day long on the New Jersey farm I used to tack on the hump of the plow before me card after card on which I had written the Greek conjugations. In this way I mastered my Greek grammar and made good headway in Xenophon's "Anabasis." There were many difficulties (338) to overcome. The farmer said I was not plowing as large a section as I might, and knocked the cards from the plow. I did not know the use of many studies that I had to take, and this made the study oftentimes a drudgery. To-day, however, I am thankful for the discouragements and difficulties that came in my way, for they taught me my limitations. There was also a brighter side in this life. I enjoyed reading and "The Old Tennent Church," and the "Journals of David Brainerd" were an inspiration to me. At school I made the "All Hermon'' baseball and football teams. I entered Yale University in the fall of 1906. The night before I received final word that I had passed my examinations the Sophomores in New Haven came to haze me, and I heard my first Yale song, "Wake, Freshman, Wake." As I lay on my couch in Pierson Hall, the singing of the approaching Sophomores grew louder and louder. Soon they filled my room, and things happened that only a Yale man knows. After the ordeal was over I was "a Yale man." It was a great moment to me, when, marching through the streets, I joined with several thousand students for the first time in the cry of Aristophanes' frogs. The most significant event of my Freshman year was my meeting Mrs. Walter C. Roe, who addressed the students one Sunday afternoon upon the subject of "American Indians." Up to this time I had not seen very many Christian Indians, but in her address she spoke of thousands of these Christians in Oklahoma and in other parts of America. After the meeting I was introduced to Mrs. Roe by Professor Henry Wright, and she invited me to come to Oklahoma to see the Christian Indians there. 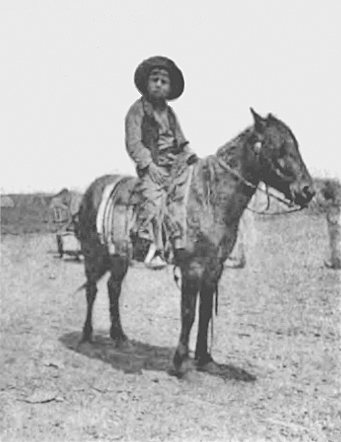 As a result I went to Oklahoma in the summer of 1907, and I found myself in the midst of many of these Christian Indians. Since then I have never felt alone. In Oklahoma I also met Dr. Walter C. Roe, and came to look upon him as a truly great man. He was rather spare in his body, with an open, strong, eager face. He was fearless, clear-headed, profoundly spiritual, and always imprest me as a man whose soul was in line with the great movements of God. He labored against tremendous physical odds, yet he led an overflowing life of service for the Indian race. Dr. and Mrs. Roe had had a son who had died in early infancy, and who, if he had lived, would have been about my age. After some time they decided to adopt me as their son, and I took their name. From that time Dr. Roe was the steady and wise counselor, and Mrs. Roe gave my life and thoughts the upward look. At college, when a multitude of ideas throng the mind and make a true perspective of life difficult, a young man greatly needs the steadying power of some true and wise counselor. During my years at Yale I paid my way by waiting on table, taking tickets at the great games, selling Indian relics, working out by the day, by monitorships, and by canvassing over a good part of Connecticut. During these trips, when I appeared at people's doors, they told me of the arrow-heads they had found around their homes, but they were not ready (339) to buy the civilized article I offered for sale. Upon one occasion, when a friend and I had utterly failed, I persuaded a woman to leave her milking to him while I went with her into the house, and there I made the only sale for the entire day. That evening I seemed to see the sun rise in the sunset. Some years before another "preaching listener" and I had made two marks in the earth between us to record a vow. In this way Indians called the earth to witness in the belief that should one of the parties to the vow prove unfaithful, the other would know it the instant the apostate's foot touched the earth, wherever he might be. My companion and I had vowed that we would go to school and learn all we could about our "New Friend," and would then come back to tell our people. True to this vow I went from Yale to Oberlin Seminary, where I found true scholarship, earnestness, and enthusiasm for the work of the ministry. Many invitations began to come to me to speak on behalf of the Indian cause, and as Ohio was too far away to respond to those from New England, I left Oberlin and went to Auburn, where I was graduated two years later. At my ordination, Dr. James Riggs said truly that the white race had given me the best that it had to give. On the shores of Owasco lake, near Auburn, I pondered over the whole question of the welfare of my race. What seemed sacrifices to me a few years ago I have discovered to be only stepping-stones into a vastly richer, fuller life. I have found that if the Indian is to live he must have something deeper than what mere civilization can give him. Each Indian boy and girl must have the Christian motive for life, and the implanting of this motive and ideal is the most necessary constructive work in Indian education. Dr. Walter Roe saw the need of establishing an inter-denominational Christian school, for the purpose of training Indian Christian leaders from all the tribes, but he died when he had only taken the first step. My life is now committed to the carrying forward of this enterprise. 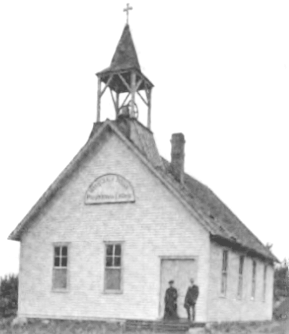 Christian education is the great need of the Indians to-day, and as Senator Hollis has said, "An education achieved at some sacrifice is more valuable than one acquired through charity." To this work of the Christian education of my people I have consecrated my life, and to its successful accomplishment I look forward with great hope. In writing the above I have violated one of the strictest moral codes of the Indians, by which no youth is allowed to speak in counsel before men who carry more weight of years. I should have waited until I had at least the dignity of one gray hair on my head before addressing any people, but have yielded to the urgent request of the editor of this magazine and in the hope that some other "preaching listener" may be encouraged on The Way. — H. R. C.
Commentary. "The Murky Waters" — this is Nįšóč in Hočąk, where šóč means, "murky, roiled." Nįšóč is also the name for Nebraska, so that oddly, Nebraska is Missouri in Hočąk. "uncle" — this would be his hi’ą́č, or father's brother, the term meaning simply "father." His authority was essentially the same as that of the boy's father. The clan elders would be responsible for the teaching of their children, whereas the other uncle, the hiték, the mother's brother, had a joking relationship with his nephews and would never discipline them. The severe punishments run contrary to what is almost universally said: children were usually left to run wild. The question that arises is whether the discipline inflicted on Cloud represented a decline in traditional norms, or whether the reports of boys running wild was a reflection of a decadent neglect. 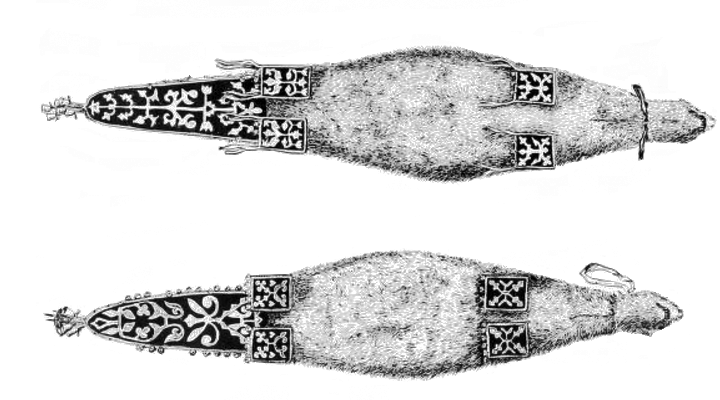 "otter skins for medicine bags" — illustrated above is an otterskin bag used in the Medicine Rite to shoot shells at novitiates, who then fell over as if dead, only to arise again shortly to convince the audience that they had just acquired the power of resurrection. "a quarter of a dollar" — Jipson also records this in his word list as mee-cha-gake-skay-sha [mičagekskežą], twenty-five cents (cost of a muskrat skin). 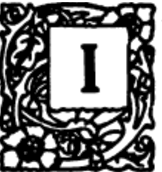 This is probably a corruption of wičak-hikisge-žą (> wičagikisgežą), from wičak, "muskrat"; hikisge, "to be equal to"; and -žą, "a, one." "Dog Clan" — there was no Dog Clan. Occasionally, the Wolf Clan might be so called, the word for dog being šųk, and that for wolf being šųkją́k. "Bird Clan" — really a set of four clans who saw themselves as interrelated, and therefore, in a sense, a clan. However, they also constituted the entirety of the Upper Moiety. Henry Roe Cloud's clan was more specifically the Warrior Clan. "Chief of the Bird Clan" — there is a bit of confusion here on the part of Henry Cloud. The Chief of the Tribe, and therefore of the Upper Moiety, was taken from the Thunderbird Clan; in contradistinction, the War Chief was taken from the Warrior (Hawk) Clan, the clan to which Cloud belonged. His prior statement that "the Bird Clan was the War Clan," shows that he had a confused idea as to what the Bird "Clan" actually was, although he was correct to think that he belong to both the War Clan and the Bird Clan, inasmuch as the former is subsumed under the latter. This is a testament to the degree to which clan structure and function had degenerated by the late XIXᵀᴴ century. "Crows" — these are not, of course, the Absaroka known to whites as the "Crow," but the Menominee, whom the Hočągara call Kaǧi, "Crows. 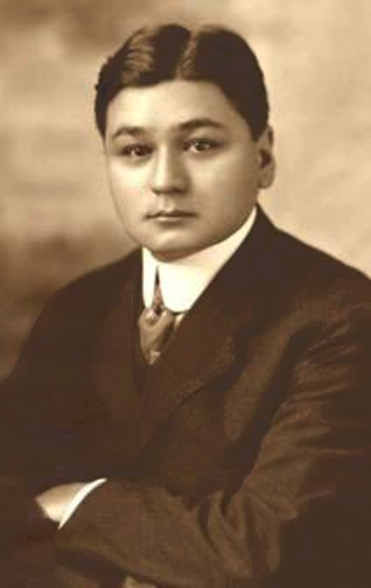 Henry Roe Cloud, "From Wigwam to Pulpit: A Red Man's Own Story of His Progress from Darkness to Light," The Missionary Review of the World, 38 (1915): 329-339.